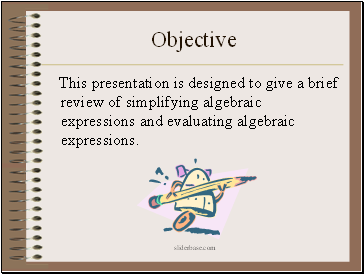 This presentation is designed to give a brief review of simplifying algebraic expressions and evaluating algebraic expressions. 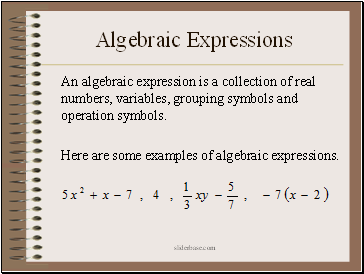 An algebraic expression is a collection of real numbers, variables, grouping symbols and operation symbols. 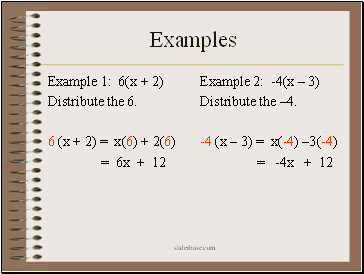 Here are some examples of algebraic expressions. The terms of the expression are separated by addition. There are 3 terms in this example and they are . The coefficient of a variable term is the real number factor. The first term has coefficient of 5. The second term has an unwritten coefficient of 1. 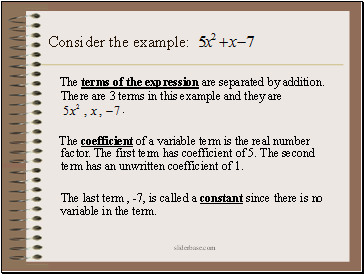 The last term , -7, is called a constant since there is no variable in the term. 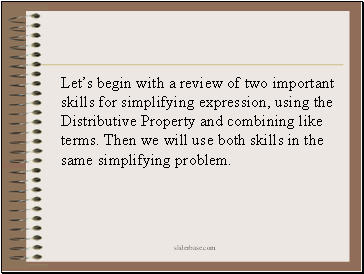 Let’s begin with a review of two important skills for simplifying expression, using the Distributive Property and combining like terms. 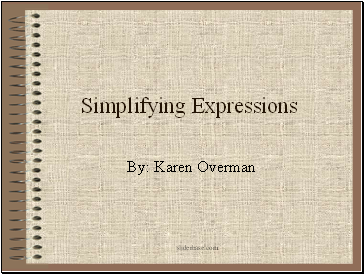 Then we will use both skills in the same simplifying problem. 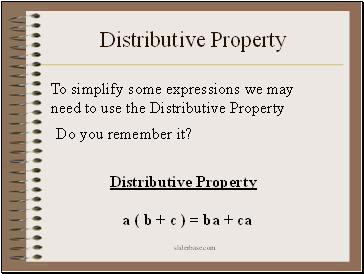 Try the Distributive Property on -7 ( x – 2 ) . Be sure to multiply each term by a –7. Notice when a negative is distributed all the signs of the terms in the ( )’s change. Examples with 1 and –1. 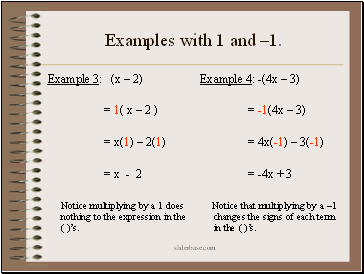 Notice multiplying by a 1 does nothing to the expression in the ( )’s. 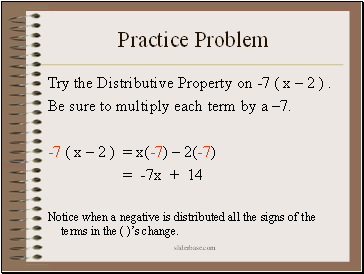 Notice that multiplying by a –1 changes the signs of each term in the ( )’s. 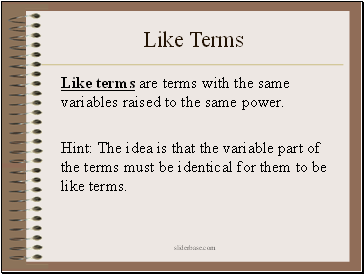 Like terms are terms with the same variables raised to the same power.